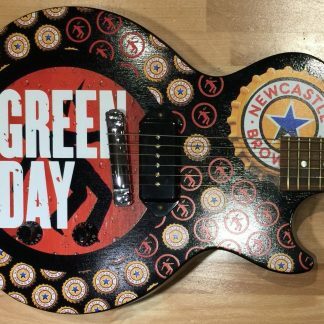 A must have for any Green Day fanatic and/or Gibson collector! 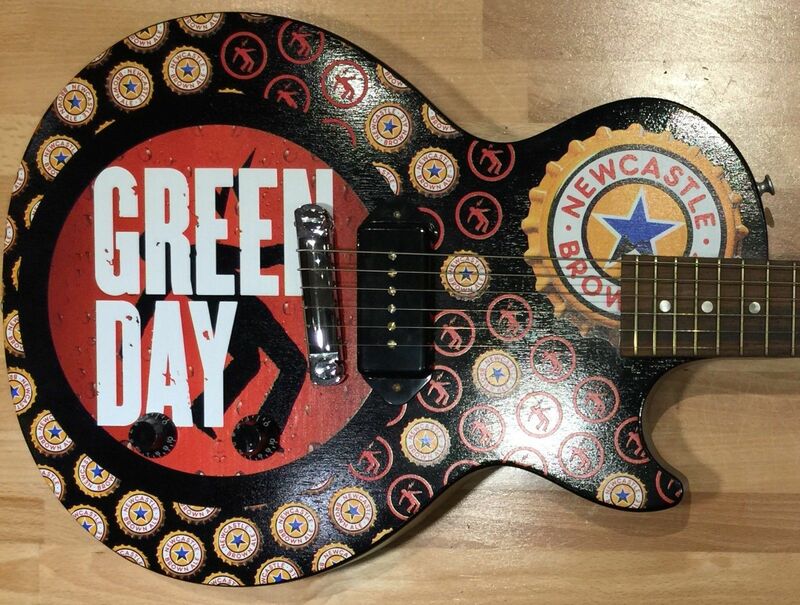 This rare Gibson Les Paul Junior was built to promote the 2005 Green Day “American Idiot” tour sponsored by Newcastle Brown Ale. 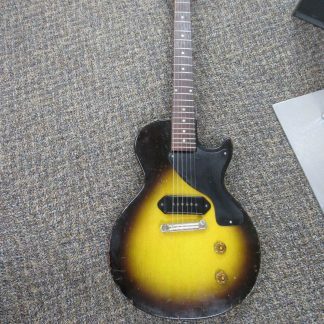 The guitar was originally a prize in a tour related competition and is one of only four which Gibson produced which makes it highly collectable. It features custom graphics on the front and back on a cool rough wood black finish. The guitar features one P-90 pickup with a wrap over full intonation adjustable bridge and tailpiece. It has been stored in the original Gibson USA hard shell case for almost all of it’s life. The original owner was not a guitar player. It was only pulled it out of the case a few times to show to friends and thus it has not been played and is in mint shape. The guitar comes with an original lockable Gibson USA hardshell case. This guitar plays and sounds as great as it looks!